What do you really want to do with your life? Who do you want to be in your life? How does God speak to you about your life? This volume, like the Catholics on Call program at Catholic Theological Union in Chicago, raises these important questions. The highly respected essayists shed light on the variety of vocational paths in the church while providing insights about discernment, ministry, and prayer. They seek to offer young men and women information, guidance, and inspiration as they discern a life of ministry, and help them to discover that discerning a vocation is not a matter of choosing the more appealing of a variety of options; rather, it is an openness to discovering God's will. Robin Ryan is a Passionist priest and associate professor of systematic theology at Catholic Theological Union. He also serves as director of Catholics on Call, a national vocation discovery program funded by the Lilly Endowment, Inc. He is the author of a number of articles on theological topics and the spirituality of young adults. Some advice for all who minister to young adults: Read Catholics on Call with chapters by outstanding, pastorally sensitive authors (Donald Senior, Robert Schreiter, Robert Morneau, Thomas Rausch, Sheila McLaughlin, Charlene Diorka, Stephen Bevans, and Robin Ryan), who present helpful theological perspectives and practical suggestions for young adults discerning their vocation; give copies of the book to young people (it is written with them in mind) who may be interested in church ministry; form a group to discuss the book; and send some young adults to the informative and inspirational, `Catholics on Call' summer conferences run by the Catholic Theological Union in Chicago. Hearing God's call and choosing a life of service to the Church is one of the most important, and most difficult, decisions that a person can make. 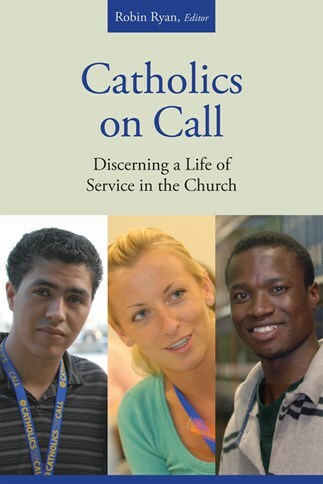 The authors of Catholics on Call: Discerning a Life of Service in the Church offer valuable insights into religious life and vocational discernment. This book is a wonderful resource for anyone who is in the process of vocational discernment. It is equally valuable for those who know someone who is considering an ecclesial ministry. A must read. One clear sign of the Holy Spirit at work in the Church today is the number of young adults who are responding to a sense of vocation and seeking to share their gifts in a variety of forms of ecclesial ministry. This volume will be a valuable resource for those who are trying to discern what their vocation is, those who accompany them as mentors, and all who are interested in new forms of ministry in the contemporary Church.